I’m satisfied with my purchase. I have been a fan of Jarrow brands for a while now. 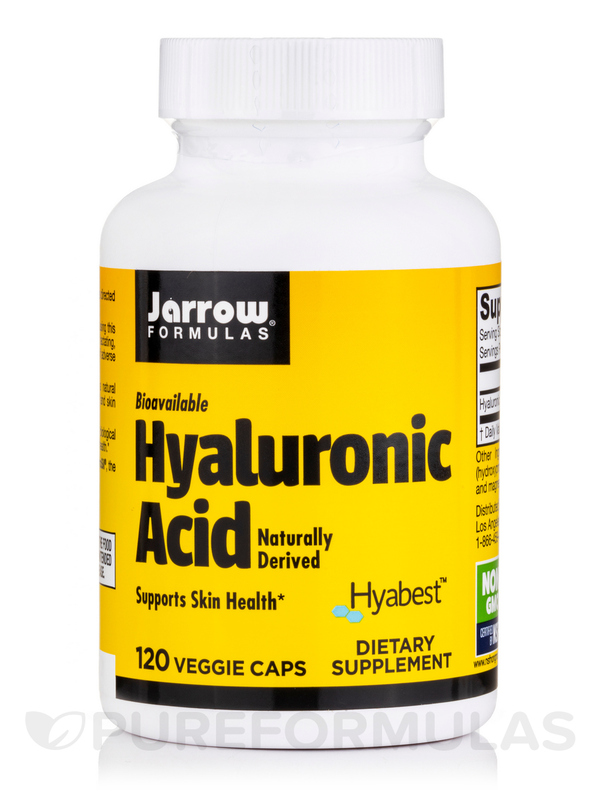 I believe that Hyaluronic Acid 50 mg by Jarrow Formulas is working as it should. My joint pain has decreased significantly and my skin feels plump. 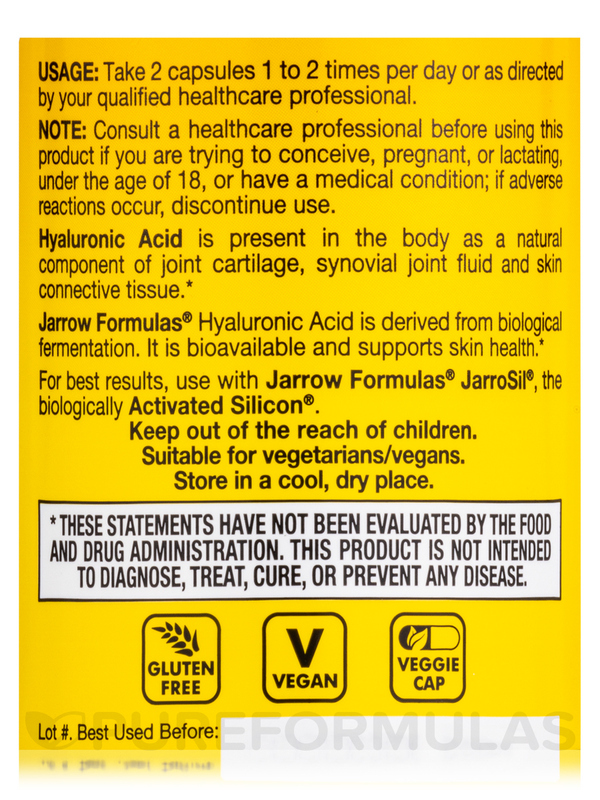 Hyaluronic Acid 50 mg 120 Capsules from Jarrow Formulas® may help with skin hydration‚ joint lubrication and generic skin repair. Hyaluronic acid occurs naturally in the body. The acid is found in the fluids present in the eyes and bone joints. The acid may help in conditions like osteoarthritis and bone-joint related disorders. The acid is present in high concentration in the eye fluids. 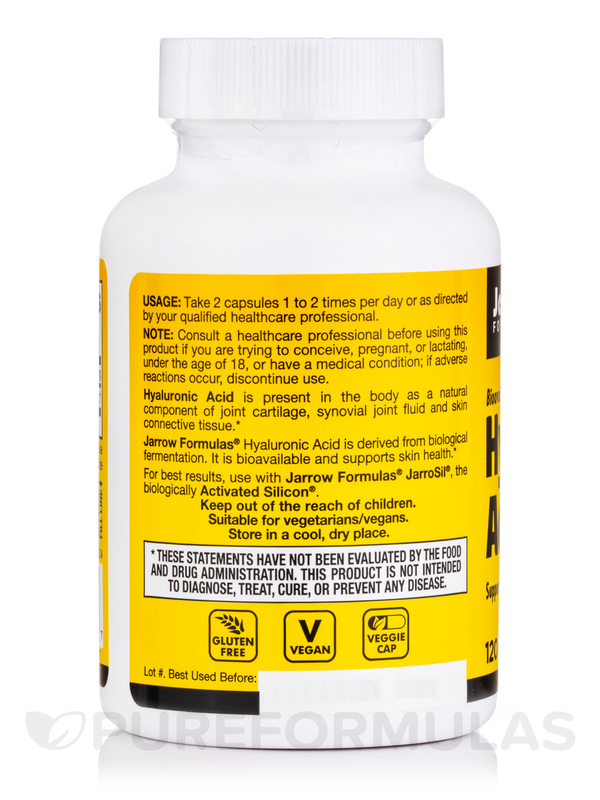 The hyaluronic acid helps provide cushion comfort to the joints and bone tissues. 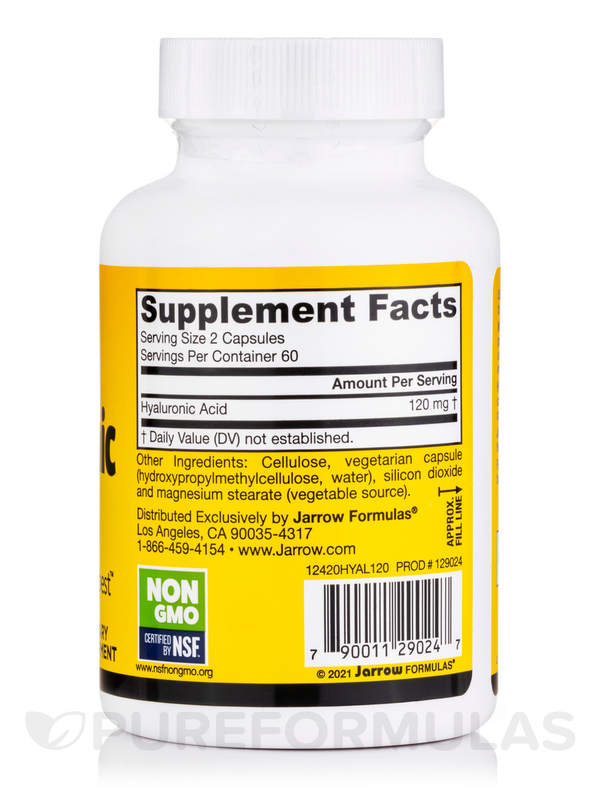 The capsule supplement from Jarrow Formulas® is prepared from biological fermentation. The low-molecular weight formulation may help in promoting skin hydration in the body. Some people say that the hyaluronic acid may help with preventing the effects of aging. The acid may also help in conditions like healing burns‚ ulcers and wounds. It is also said that the acid may help treat sores in the mouth. A few use this acid as a moisturizer too. The supplement does not contain any wheat‚ eggs‚ soybeans‚ dairy‚ gluten‚ peanuts or fish. 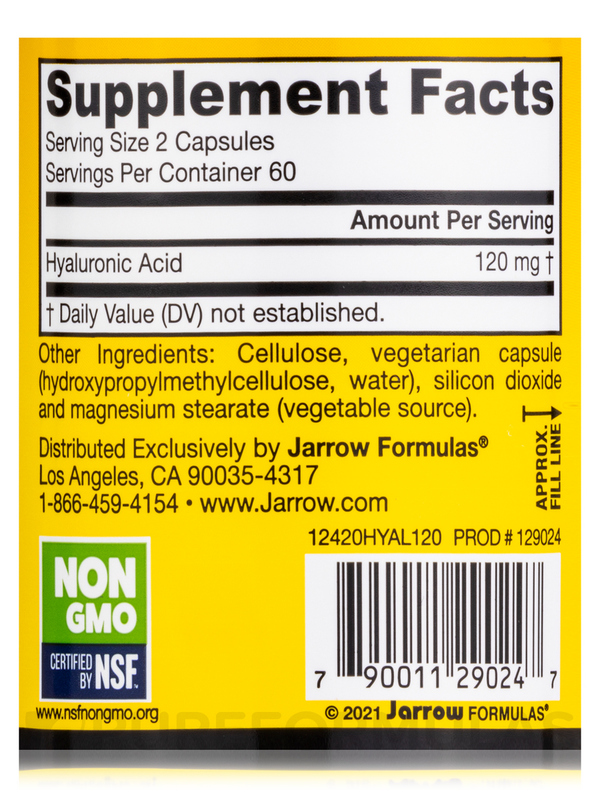 Include a daily dose of Hyaluronic Acid 50 mg 120 Capsules from Jarrow Formulas® in your diet and supplement your body’s requirement of hyaluronic acid. Take 2 capsules 1 to 2 times per day or as directed by your qualified health care consultant. The packaging and fast delivery.